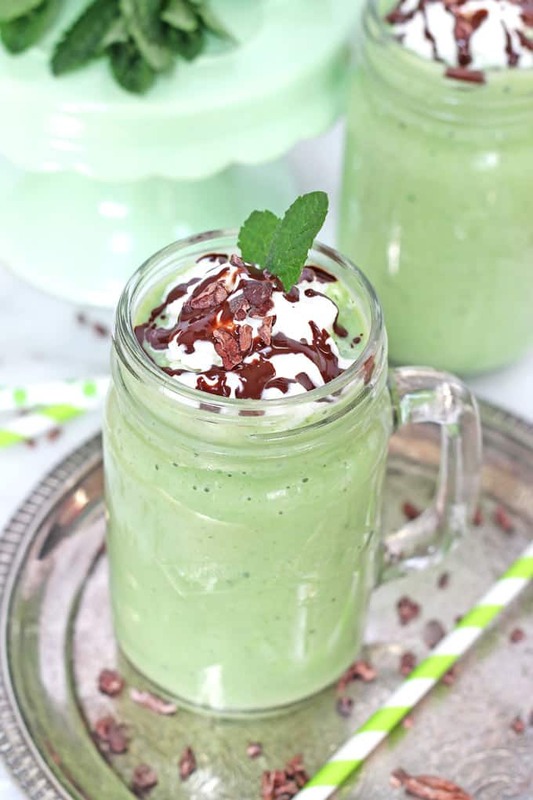 A healthy take on the classic McDonald’s Shamrock Shake, made with spinach, avocado and mint! 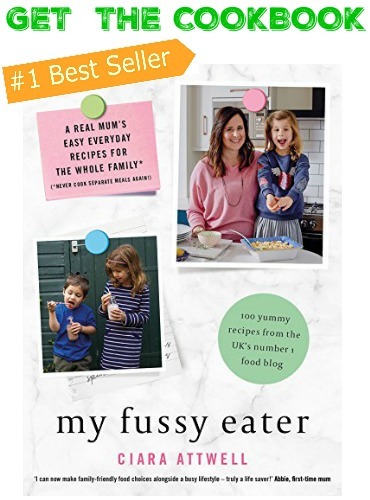 Next week is of course St Patrick’s Day and I would be a very bad Irish food blogger if I didn’t mark the occasion with a suitably green recipe for you! By now you probably know that I love nothing better than putting a healthy spin on classic sugar-laden recipes. And on my hit list today is the Shamrock Shake! I know that my Irish and American readers will know all about the Shamrock Shake. It’s a limited addition mint milkshake sold by McDonalds every March to celebrate St Patrick’s Day. Fortunately the UK seems to have been spared from this fluorescent green drink and believe me, you’re not missing anything! 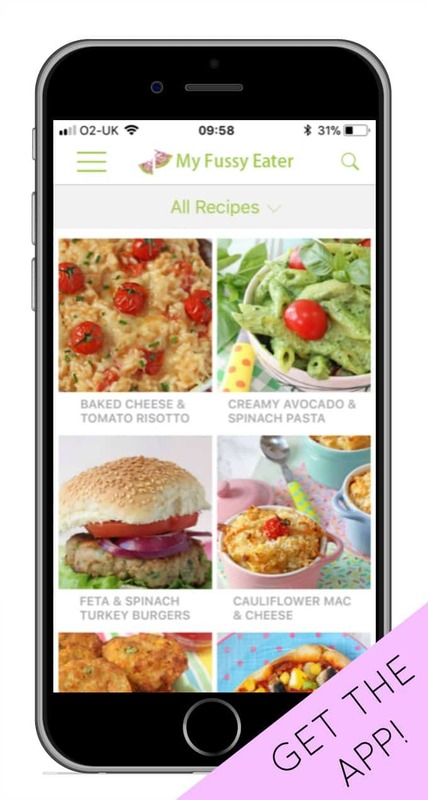 The McDonalds recipe has an astonishing 33 ingredients, most of which are unpronounceable additives, food dyes and preservatives. A large shake also contains over four times the current RDA of sugar for an adult. Crazy! But not wanting to be a party pooper I set about making my own healthier version. 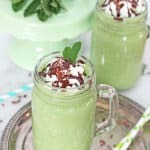 The distinctive green colour is easily replicated with nutrient dense spinach and avocado and you can use either fresh mint or mint extract for a minty kick to the shake. 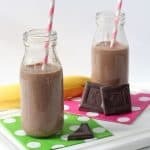 I also added a banana which helps to sweeten the shake but you can also add some honey or maple syrup if you prefer it a little sweeter. For the toppings I used whipped coconut cream, homemade chocolate sauce and a few cocoa nibs but you can experiment and try a few toppings of your own. So what do you think? 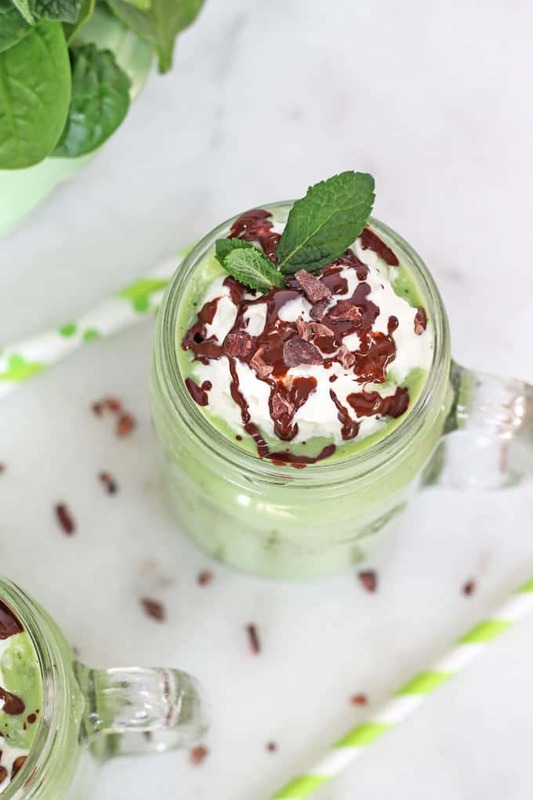 Is this good enough to rival the McDonald’s Shamrock Shake for St Patrick’s Day? PS. If you are looking for a tasty snack to accompany your Shamrock Shake try this delicious Wholemeal Cheddar & Apple Chutney Soda Bread from Fab Food 4 All. 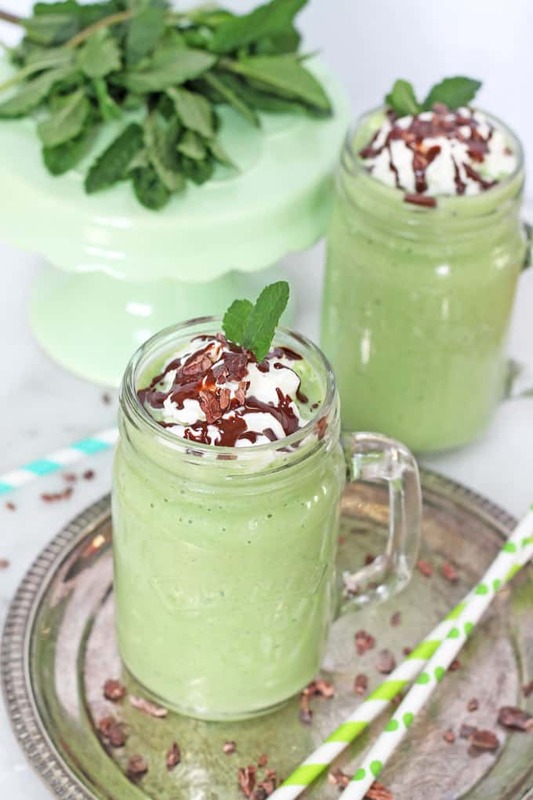 Place the milk, spinach, banana, avocado and mint leaves / mint extract in a blender and blitz until smooth. Taste your shake and add honey or maple syrup if you prefer it to be sweeter. Add any topping you like. 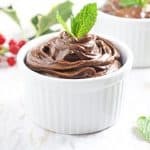 You can make a chocolate sauce by melting the coconut oil and dark chocolate together in a saucepan / microwave. 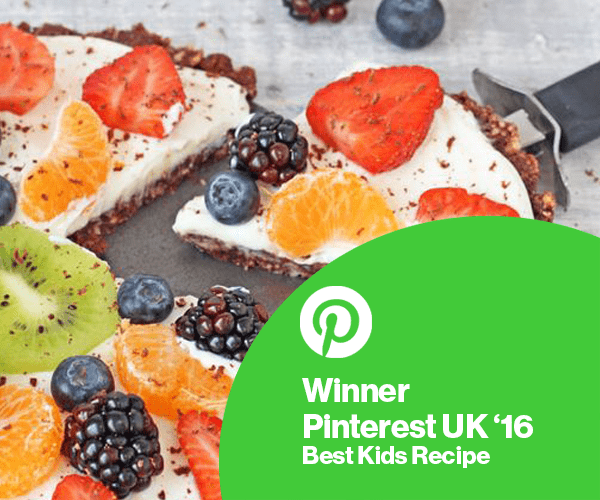 Tried these at the weekend ahead of St Patrick’s day as we are having a St. Patrick’s Day Party so was looking for some healthy St. Patrick’s drinks for the kids and they turned out brilliantly! Definitely will be serving these!